The cool weather in Kansas City these last few days reminds me that fall is just around the corner. 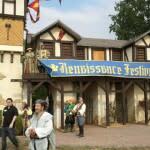 Last night&apos;s weather really set the stage for the Kansas City Renaissance Festival media sneak peek party. My son and I got the opportunity to preview what’s in store for this year&apos;s festival opening September 1 through October 14 on weekends, Labor Day and Columbus Day. New this year include the Magical Mermaids, an enchanted Secret Garden, a Royal Pub Crawl that comes with a FREE Renaissance Festival mug, wicked games and antics and more. 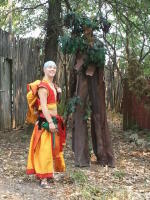 There’s too much to list, be sure to check out all the new for 2012 a twww.kcrenfest.com. Each weekend is themed and features entertainment around it. I’ll definitely be at the Wine, Chocolate and Romance Weekend on September 29-30, the theme includes a Chocolate Festival, Wedding of the Century and Wine Tasting - where else can you find all this in one place! In addition to the themed weekends, the festival grounds always features over 20 entertainment venues, live jousting, artisan booths and food fit for a King! My favorite menu items are the apple dumplings, Belgian fries and the gigantic pickles and TURKEY LEGS! You can’t go to the festival and not have one; it really tops off the whole experience. The Renaissance Festival truly makes a great family outing. The free petting zoo, a playground area, old-fashioned carnival rides and the camel rides make it easy to please kids of all ages. Wear comfortable shoes - be prepared for a lot of walking. Bring cash – there are ATMS but we have found it’s easier to have cash before you go. Purchase discounted tickets in advance –online a twww.kcrenfest.com/tickets.html or at a participating retailer: Walgreens, Dillions, Baker’s, HyVee. Military and Civil Service Members receive $3 discount with valid ID. 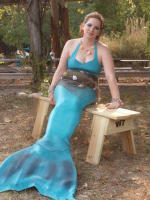 Check kcrenfest.com for ongoing promotions. Go later in the day – not only are there less people but the closing ceremonies are so much fun! Bring your cameras - there are photo ops everywhere you look! And lastly, dress up in your favorite medieval costumes and join the festivities! 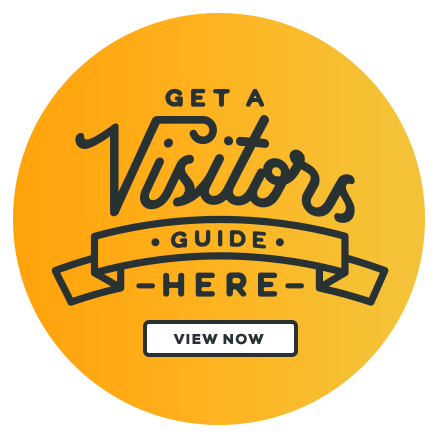 Maila is the Marketing & Communications Manager for the Kansas City Kansas Convention & Visitors Bureau, Inc.
Maila is the Marketing & Communications Manager for the Kansas City Kansas Convention & Visitors Bureau. She is a GOT fanatic, loves to eat and enjoys conducting market research (shopping)! 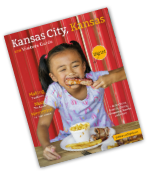 Maila lives in Kansas City, KS with her husband, two kids and two dogs, and is passionate about promoting Kansas City, KS as a destination to live, work and play. Maila is a graduate of Donnelly College with an emphasis on Organizational Leadership.